Christians living and serving in Iraq and neighboring places of refuge need our help! They need basic provisions to survive the devastation caused by Islamic extremists, and they need supplies to share with their Muslim neighbors as they share the good news of Jesus Christ. Our staff tells us that the best way to bring peace to the region is to proclaim the gospel, and the best way to gain a hearing is through humanitarian aid. In northern Iraq, an old threat has emerged with unprecedented violence and destruction. Calling itself the "Islamic State" (formerly known as ISIS), this growing movement of extremist Muslims seeks to bring all Middle East cultures under its control. IS identifies enemies and either eliminates them or forces them out. Current IS enemies include anyone who is not part of their specific sect of Sunni Islam. Punishments include beatings, amputation, crucifixion and beheading. Each territory overrun by IS puts hundreds of families to flight, escaping with nothing more than what they can carry. While IS militants allow most residents to leave, they strip them of all possessions and money. Most families flee IS-held territories in northern Iraq by heading to cities in the east and south. Some make their way to Jordan and Lebanon, already overburdened with millions of Syrian refugees. Our Cru staff are indigenous believers who were born and reared within the cultures we serve. They know the culture intimately, speak the language fluently and maintain close connections with key community influencers and other Christian churches and agencies with which they work. In Iraq, our staff serves in two areas. The first is the city of Irbil which is nearly 90% Christian with the remaining 10% identifying as Sunni, Shi’ite, or Yazidi. The second is in Duhok, where the population is evenly split between Christians and Kurdish Muslims, most of whom have fled areas affected by IS. We are sending this area many containers of food (lentils, chick peas, and rice) and other aid (clothes, school supplies, heaters, and hygiene items.) While meeting the physical needs of refugees, our staff provides emotional trauma counseling for victims of the violence. Having witnessed killings, horrific beatings, and widespread sexual assault, emotional care is crucial. GAiN (The Humanitarian Assistance Ministry of Cru) plans to provide humanitarian relief and evangelism support in association with our in-country partners. The total amount of the project is $680,000 which will provide emergency help for the next 6 months to victims of IS and the Syrian war. 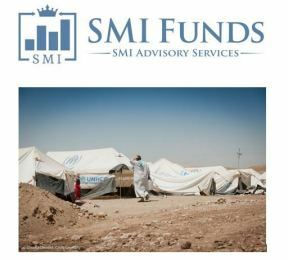 Through February 28, 2015, SMI Advisory Services (the management company of the SMI Funds) will match every dollar you give with $2, up to a total match of $50,000. Please consider a generous gift today to help meet the needs of hundreds of thousands of displaced Christians and other refugees!